Beautiful Washoe County can be found in northwest Nevada resting along the eastern slopes of the Sierra Nevada Mountains. Covering an area of 6,600 square miles, Washoe County’s growing population is estimated at 418,000 residents, which makes for close-knit communities paired with the conveniences of big city amenities. Reno is the county seat as well as the third largest city in Nevada, while other notable communities are Sparks, Crystal Bay and Incline Village at Lake Tahoe. Washoe County’s mild climate with four distinct seasons provides for a plethora of recreational activities. If golfing is your favorite pastime, Washoe County is one of Nevada’s most popular golf vacation destinations with more than 50 championship courses. Residents head to beautiful Lake Tahoe, one of the world’s clearest and deepest mountain lakes, to play in the water, fish, or go boating in the summertime, or take advantage of its two dozen world-class ski resorts in the winter. Hikers and mountain bikers love the Tahoe Rim Trail for its panoramic views, old-growth trees, and crystal clear lakes. There are a host of celebrations and annual special events in Washoe County, including the Great Reno Balloon Race, the Reno Rodeo, Hot August Nights, and the Reno National Championship Air Races. A number of cultural organizations add depth and character to Washoe County, while sparking creativity in young and old alike. Reno Philharmonic, Reno Chamber Orchestra, and the Nevada Opera are all dedicated to contributing to the county’s rich culture. 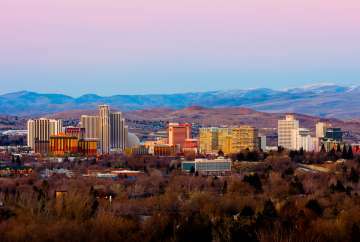 Often referred to as the Biggest Little City on the World, Reno boasts the University of Nevada, Reno, the world-class Nevada Museum of Art, and the National Automobile Museum. Sparks is a vacation destination with a luxury hotel resort, the 80-acre Sparks Marina Park, Wild Island Family Adventure Park, many championship golf courses, and beautiful Victorian Square. Washoe County has two notable airports, Reno-Tahoe International Airport and Reno Stead Airport, while Reno is a major crossroads for truck and railroad services. Hop onto I-80 from Reno or Sparks and head west to Sacramento and San Francisco or east to Salt Lake City. U.S. Highway 395 is another major corridor running southbound to Los Angeles, and northbound to Oregon, Washington, and Canada. It is only a four hour drive to the Customs Port of San Francisco, the sixth largest customs seaport/airport in the country, plus three major airports: San Francisco International Airport, Mineta San José International Airport, and Oakland International Airport. 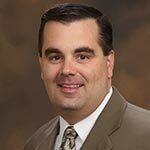 Washoe County has excellent public services, including the Northern Nevada Medical Center for general and specialized medical services, Renown Health with its leading specialists in every major field of medicine, and Saint Mary’s Healthfirst which ranks in the top 100 of healthcare systems in the nation. Washoe County boasts excellent public schools many of which offer honors and advanced placement, programs for gifted and talented students, and the International Baccalaureate Program. There are 58 elementary schools, 11 middle schools, 13 high schools, about 46 private schools, and two special needs schools. For more advanced education, the University of Nevada, Reno (UNR) was ranked as one of America’s best colleges by U.S. News & World Report. The county is also home to many other universities and community colleges, including Truckee Meadows Community College, Career College of Northern Nevada, Morrison University, and the University of Phoenix, Nevada Campus. 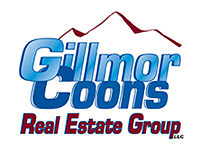 Washoe County real estate offers a variety of suburban and rural homes for any lifestyle. Expect anything from luxury estates, craftsman-style homes, and ranches on acreage to lakeside cottages, historic homes, and mountain chalets. Washoe County Nevada commercial real estate is also brimming with opportunities for any business venture. If you are seeking a place of plentiful housing, a growing economy and moderate cost of living, Washoe County has just what you are looking for.